As part of PAESPBI’s effort to actively promote Resource Efficient and Cleaner Production (RECP) concept and practices, as well as to improve experts’ competency in RECP related field, a regular thematic discussion is held by PAESPBI secretariat every every once in a while. The first thematic discussion was held on 16 November 2017 in Jakarta with the topic of “Financial Modelling for Implementing RECP”. 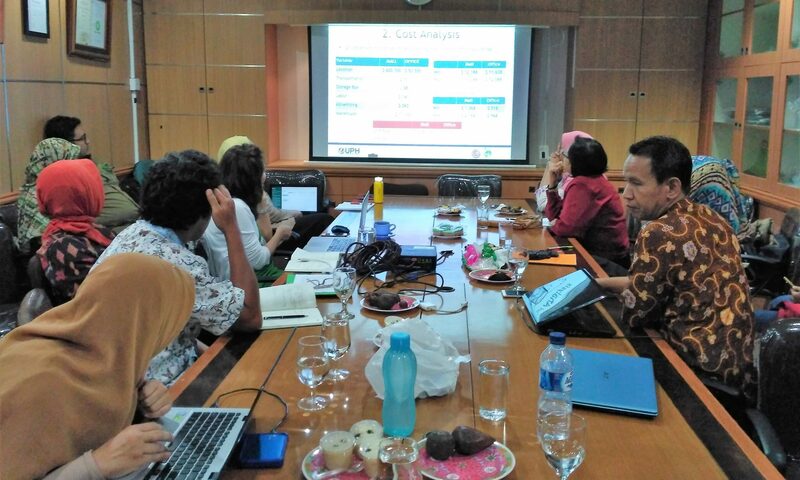 Aris Ika Nugrahanto, national energy expert from UNIDO shared financial analysis whether an activity can be financed. This financial analysis can assist companies in demonstrating the feasibility of a program or technology related to RECP. The sharing session was attended by 30 participants including MOEF staff and PAESPBI member. The session highligted that least price of equipment may not representing the benefit over the long-run and sustainable use of resources. Instead, one should calculate and consider Life Cycle Costing (LCC) before purchasing any equipment. All PAESPBI member could use this forum to share knowledge, gets inputs and updates, and decide the relevan topic to be discussed in the next meeting.